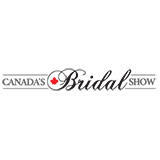 Canada Bridal Show is a must-attend event for bridal industry stakeholders. This event possesses the specialty of displaying the best of wedding dresses, groom wear, decoration, photography, cakes, jewelry and much more. It exhibits all the products and services Brides need to plan the majestic wedding of their dreams. Brides & Grooms experience a once in a lifetime interactive Bridal Show and interact with all professionals in the Bridal Industry from Venue, Bridal Boutiques, Menswear, DJ/live Entertainment, Makeup Artists to Photographers & Videographers. 1 10 May 2018 Bob J. Executive Director at CANARU Enterprises Corp. I don't like to pay for a show as a visitor guest, especially for the first time. My name is muhammad aslam . From pakistan . Profile for exhibit include Bridal Gowns & Accessories, Henna Dresses, Evening Wear, Bridemaids, Groom's Wear, Jewelry, Beauty / Hair Services & Products, Textiles, Sound, Light & Entertainment, Photography & Video Production, Floral & Stage Design, Wedding Stationary, Wedding Cakes, Confectionary, Catering Services, Limousine Services, Financial Services & Banks, Health Care Services, Honeymoon & Travel Services, Gifts & Wedding Favors, Home Furnishings.